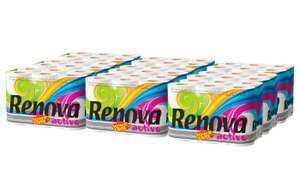 Groupon have 108 Renova Duplex 2 ply toilet tissue for £5.98 with code SAVE10 new customers\ possibly with new email address! 12 rolls per pack X 9 packs = 108 rolls. @adamspencer95 use it doubled up for 54 rolls of 4 ply !